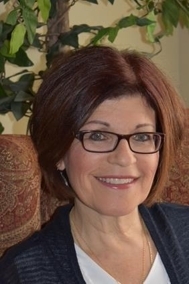 Barb Szabo's Blog: Buying a Condo or Home with an HOA! a free standing cluster home, with or without a basement. You will also want to find out how "healthy" the hoa is by reviewing a copy of the most current budget and financial statements. There can be several hundred thousand dollars that are being collected and you want to see how that money is being managed! Some of these documents are 2 inches thick but I encourage you to read every word!! We hear so many HOA horror stories. I posted a blog recently about two policies law makers are hoping to get passed in FL to help with HOA restrictions & regulations. Barb, buyers today do have lots of choices, and reading those HOA documents are critical! Great post! Thanks Joan! I am still amazed though at how much pushback I get when I ask for those docs! I have a signed addendum and yet the list agent says: "why don't you just call the management company?" That's positive news to hear that lawmakers may get involved but is it geared toward buyers? Kristin, I think the worst case I heard of is an investor who bought a condo, put a renter in it and within one month was notified by the hoa that leasing was not permitted! Yikes!! Post © 2019 Barb Szabo, CRS, E-pro Realtor, Cleveland Ohio Homes (RE/MAX Trinity Brecksville Ohio). Design © 2019 ActiveRain, Inc. All rights reserved, Inc.